The Ghost Canoe. This is an actual photo I shot at the lake. I went fishing in my boat & I found this canoe drifting. But no one was in it nor was anyone around. No sign of foul play either so I took the canoe in and held it for a while. 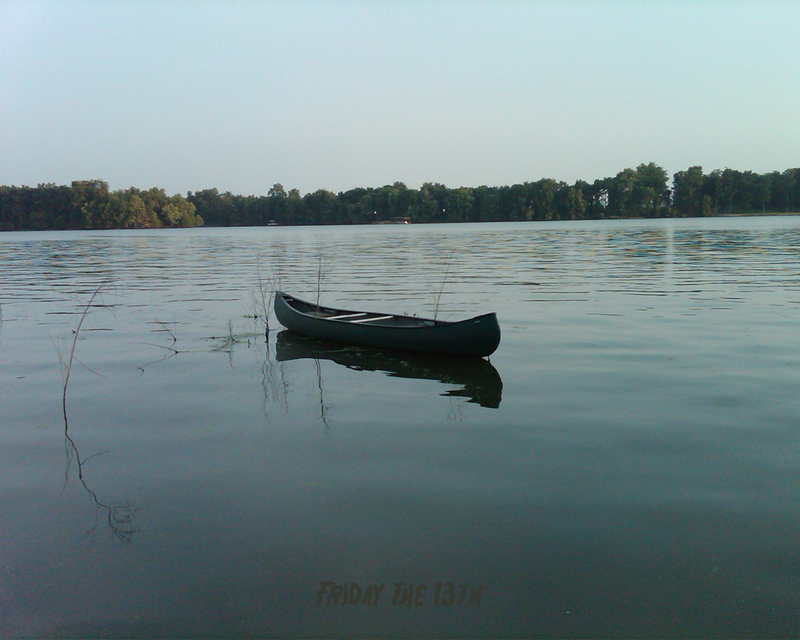 But no one claimed it.. HD Wallpaper and background images in the Friday the 13th club tagged: horror. This is an actual photo I shot at the lake. I went fishing in my boat & I found this canoe drifting. But no one was in it nor was anyone around. No sign of foul play either so I took the canoe in and held it for a while. But no one claimed it. This Friday the 13th wallpaper contains canoe. There might also be kayak, raft, and racing boat.